One of the builds I have going and really want to get finished is my 1-26E model Schweizer at 1:5 scale which comes out at 96" (2.4m) span. I always seem to get sidetracked by flooded basements, yard work and home repairs, etc. My goal was to have it done by the JR Aerotow, along with my 1-7 and I still have some hope of doing that. 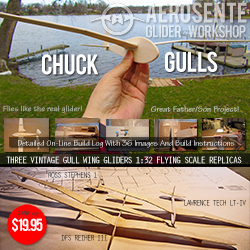 This is a discontinued kit that offered a fiberglass fuselage made from a plug that I carved and foam core wings, built up tails and 1/8" (3mm) plywood stiffeners in key areas of the wing joiner area and nose skid. Here are some photos. Marking the wing joiner sleeves for cutting. 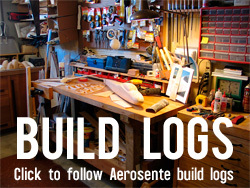 Joiner and bulkhead installed in fuselage. Next add the ribs, fitting each one at a time from rectangular stock. And finally sand the ribs to meet the trailing edge, and round the edges over. the fin leading edge, rudder spar and ribs from medium balsa.